Sure, you want reviews on Google+, Yelp, Facebook, and elsewhere. But where else can you get reviews? 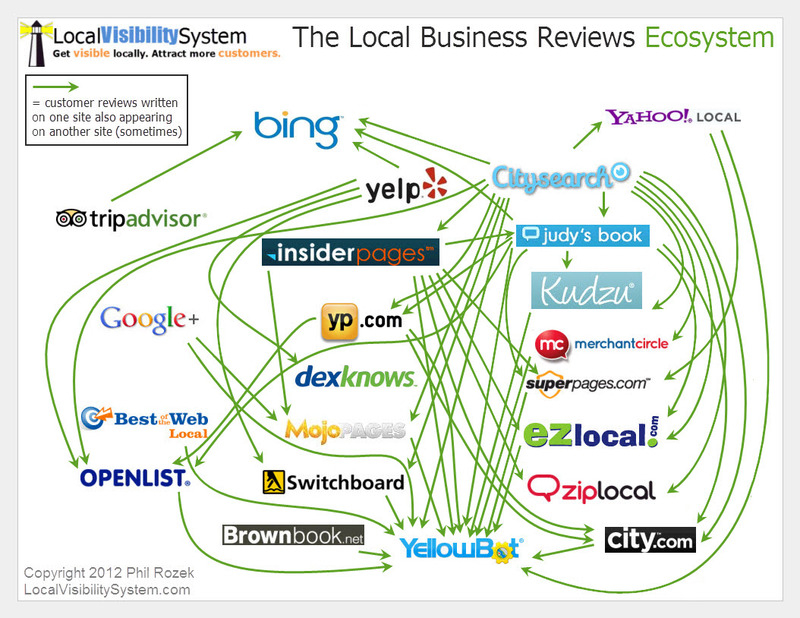 What other review sites might local customers see on their way to deciding between you and your competitors? Which ones have you overlooked – or never even knew about – and can use to your advantage? That’s why I’ve put together a list of all the placesI know of where customers can write you a review. 399 sites and counting. The list includes sections the list review sites in the US, UK, Canada, Australia, and France, as well as an “international” and industry-specific list. 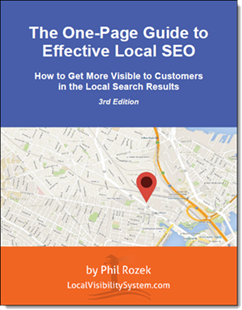 The starting point was my Definitive List of Local Search Citations – a giant list of 300+ sites where you can list your business. It’s a list I’ve built up over the past 6 years, and try to keep to-to-date. My assistant, Danielle, and I went through the whole bloody thing and checked which sites let users write reviews. Of course, I also included the sites on my list of industry-specific review sites. So generally if you want to appeal to Apple Maps and Bing Places users, you’ll get a long way if you just get some good reviews on Yelp. This concept of some review sites feeding reviews to other sites is an important one, and it explains column B on the spreadsheet. As you know, I didn’t include sites that only grab reviews from other sites. But some sites feature two types of reviews: reviews written directly on the site (“native” reviews), and reviews originally written on some other site. YellowPages is a great example. Customers can write reviews on YellowPages, but your YellowPages listing will probably also include any reviews written on your CitySearch listing. They’re partners. 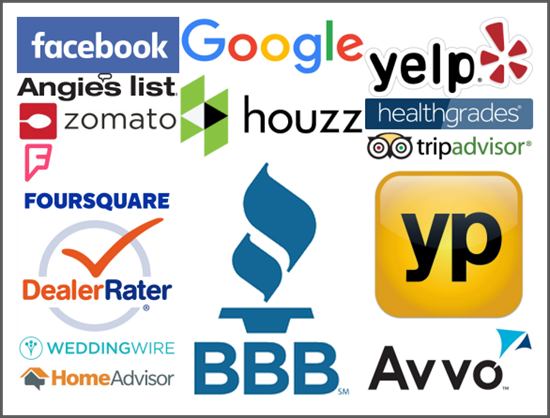 Yelp, CityGrid sites (CitySearch + InsiderPages + JudysBook), and TripAdvisor feed reviews to the most other review sites. Might help you whittle down that long list of review sites and figure out which ones to concentrate on. Some of these only let you leave a “rating.” Customer can give a business 1-5 stars, but can’t include a paragraph or two to go into detail. Kind of lame. I included them anyway, just in case you have a use for them. I’d like to keep developing this list over time. There must be some review sites I don’t yet know about. Also, I’d like to add more columns that you can use to identify the highest-payoff sites. For example, many of the sites don’t have “review stars” in the search results. We’ll have to run through the list again to see which review sites stick out like giraffes. P.S. Thanks to Alex Deckard and to Jean-Marie Chauvel for telling me about some sites I hadn’t run across.